Welcome to St. John the Evangelist Parish, a vibrant Catholic Community of faith! To those who call this Parish your spiritual home, we welcome you and your participation in all aspects of our Parish life. To those who are visiting our Parish or searching for a new spiritual home, we welcome you and invite you to join us. Wherever you find yourself on life’s journey, know you are always welcome! 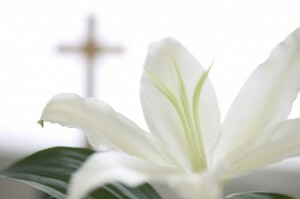 May the joy and hope of this Easter Season be yours in abundance. And may the peace of the Risen Christ be with you always! 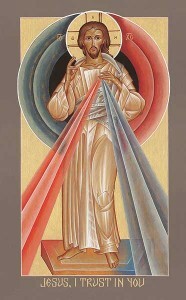 The message of The Divine Mercy is simple. It is that God loves us - all of us, and he wants us to recognize that His mercy is greater than our sins, so that we will call upon Him with trust, receive His mercy and let it flow through us to others. Saint John School: A Small School with Big Opportunities! At Saint John School, children receive a top quality education rooted in the beauty and values of our Catholic faith. 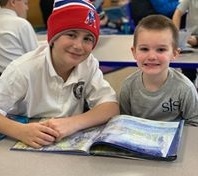 SJS is a small school with big opportunities, offering the best educational value in Metrowest Boston.